Casino Free Sudbury | Our Community. Our Way. Update: Why "Place of Amusement" does not include a casino. We are facing the prospect of a large full casino being built in our community by The Ontario Government. This casino, and three restaurants, endorsed by the City of Sudbury, and The Sudbury Chamber of Commerce, will have a profound negative economic and cultural effect on our community. 1. According to the city and the OLG, $100-150 Million is expected to be lost to gambling in the proposed new full casino. 2. The patrons of the new casino will be 90% local as the operator has admitted they will target the local population. The majority of patrons from outside the community would be visiting Sudbury regardless of a casino. 3. This vast sum of money lost to gambling will be offset by money not spent on existing businesses and cultural events. 4. The casino proposal is the reason council is contemplating moving our community arena from the downtown! ( See CasinoFACTS for details). 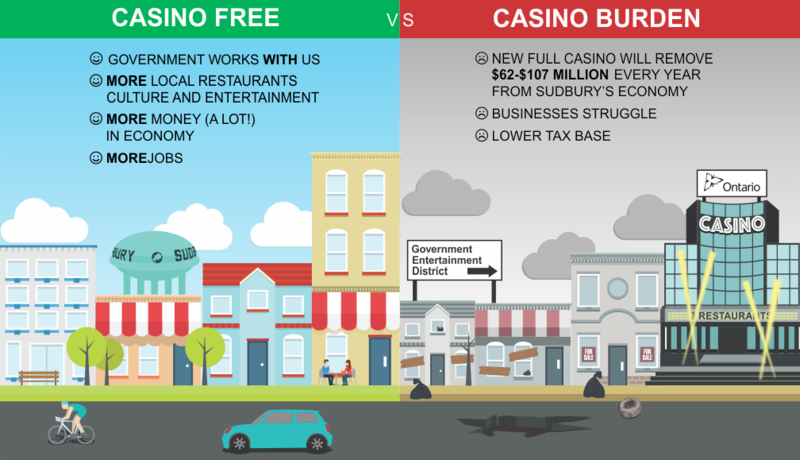 The "Casino Free Sudbury" campaign is about educating businesses and charities about the effects of full casinos in remote communities, and giving a voice to those who prefer to develop our community without the impediment of a full casino. See	The Legal Appeal for how we intend to accomplish our goals. 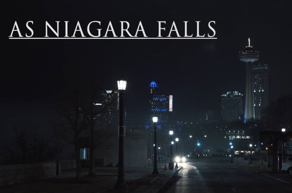 Short Video On Niagara Falls Tourist/Casino area. We are a group of local business owners who are very concerned about the economic and cultural effects of a full casino operating in Sudbury.